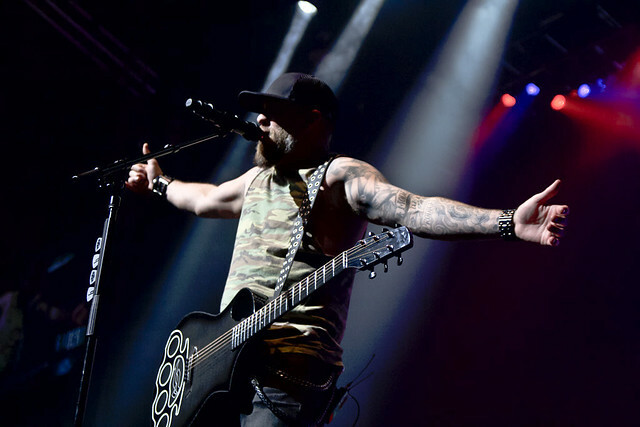 Brantley Gilbert putting the badass back in Country music Reviewed by Ash Starkweather on April 15, 2019 . 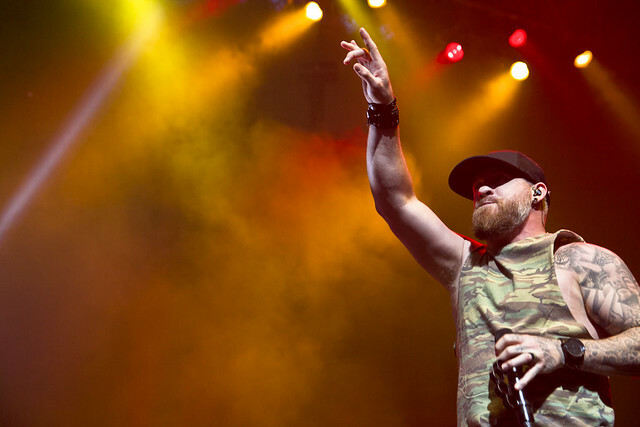 The other day was a big day for country superstar, Brantley Gilbert! 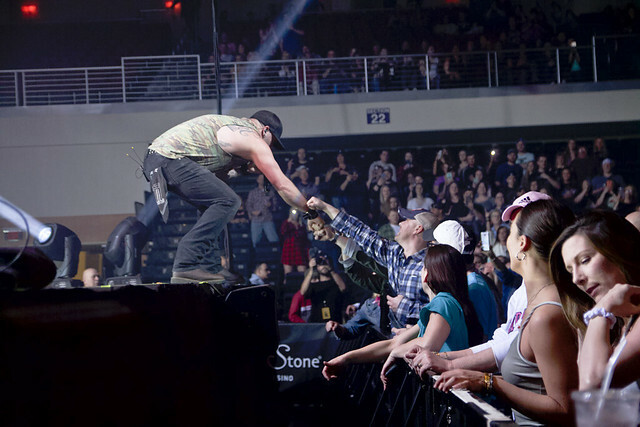 It is just the beginning of the road as his tour kicked off last night in Verona, NY. Not only did he start his spring-summer tour but he also dropped not one but two new songs on the same day (more on that in a bit)! The lines were not at the door for this show, rather it was at the bar! Fans got in early, played some at the casino and hit the bar so they were fully prepared for this show! They were in good company as Faren Rachel took the stage. 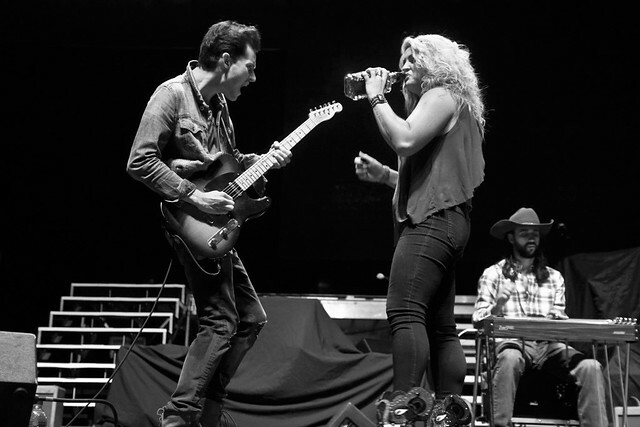 Right beside her microphone was a bottle of Jack Daniels. 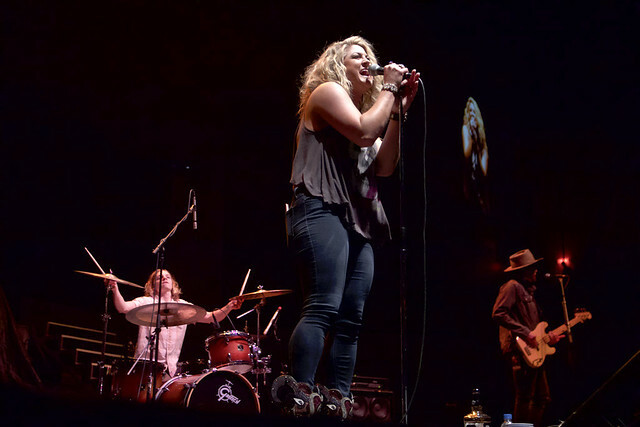 She is a newer country act with a voice like Lauren Alaina and all the badassery of Miranda Lambert or Gretchen Wilson. 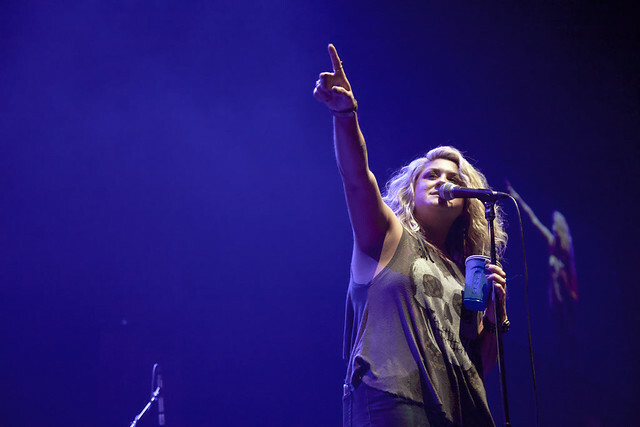 As the crowd started to cheer, she dove right into the song. 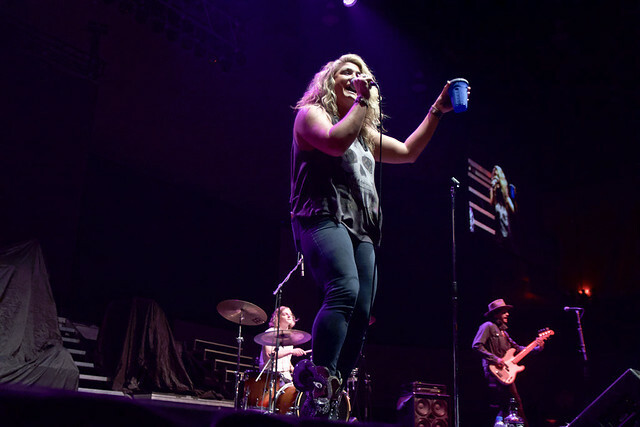 Midway through “Fancy,” hands were high in the air as just about everyone in the arena yelled the line “I might have been born just plain white trash, but Fancy was my name!” That was the moment of her set that Verona will surely not forget. 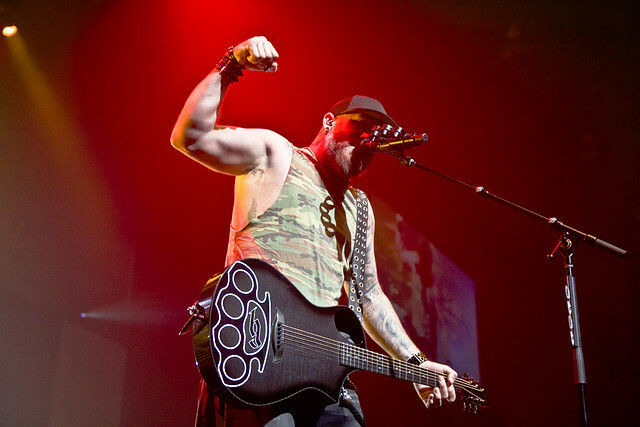 During set changes, I was surprised to hear Five Finger Death Punch’s “Blue on Black” not only being played but having such a great reaction with the crowd. 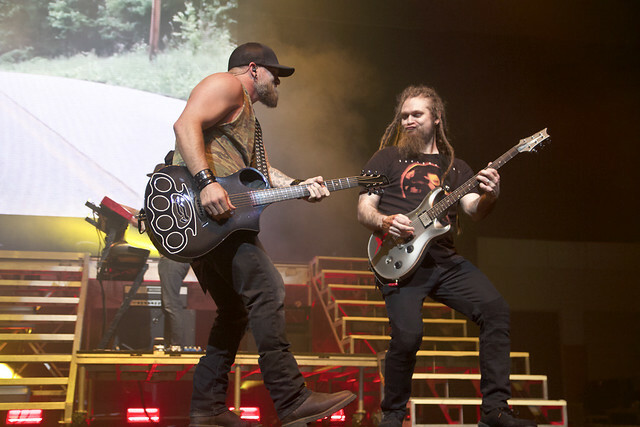 The song seemed a little different than I previously recalled, as it had a bit of a southern rock/country vibe to it, comparable to Gilbert’s work again. More on this soon. 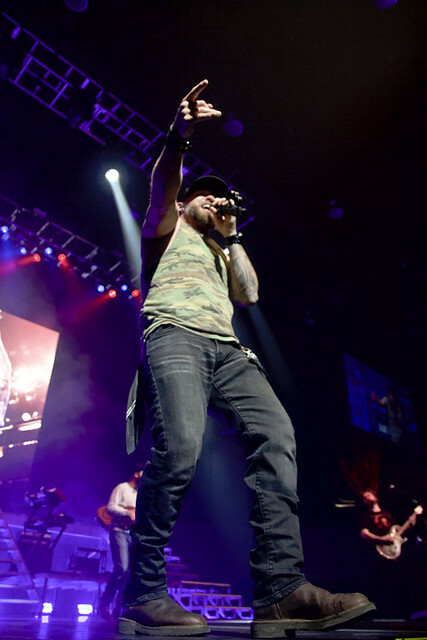 Brantley Gilbert took the stage shortly after 9 pm and jumped right into “My Kinda Party,” which you probably know from Jason Aldean’s 2010 album. Prior to that Gilbert put the song out in 09. 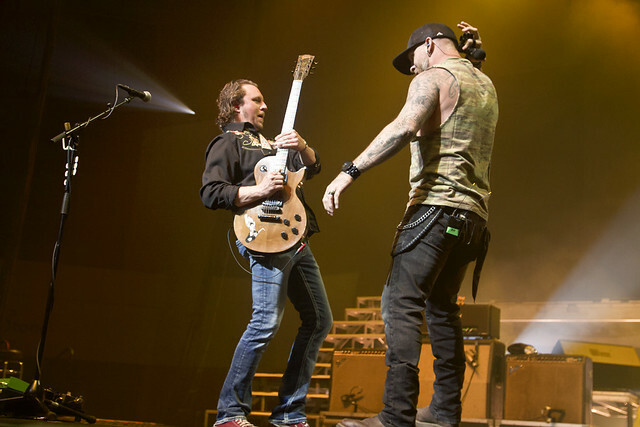 Immediately after this we look to stage right and notice the guitar player. As he went into the hit track “The Weekend.” there was a short acoustic guitar solo before the band jumped into “You Don’t Know Her Like I Do,” a crowd favorite that had everyone singing it right back at him which brought on the perfect opportunity to drop his brand new song on us. “I wanted to write a song for BG nation. 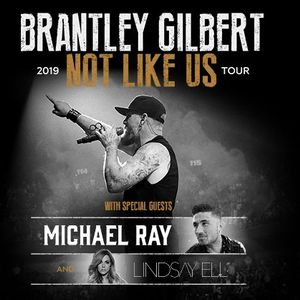 You might party, you might throw down, but you don’t throw down like us,” Gilbert stated as he cued into the brand new track, “Not Like Us” which debuted yesterday. He teamed up with NASCAR for this one, and it will be in a new marketing campaign which will pair Gilbert’s new release with the story of 23-year-old NASCAR driver Chase Elliott. Back to the show, Gilbert went into another newer track. He dropped this one back in January with Lindsay Eli titled “What Happens In A Small Town.” Gilbert has worked with multiple artists, both as a writer and singer to help build his popularity in country, rock, and even rap! 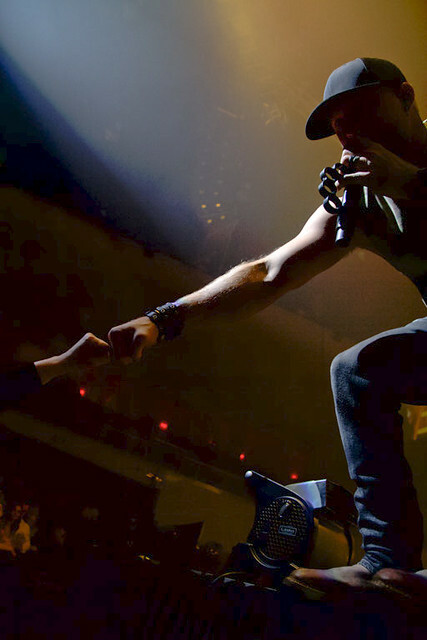 Next up he dove into “Dirt Road Anthem,” another song you may be familiar with via Jason Aldean. 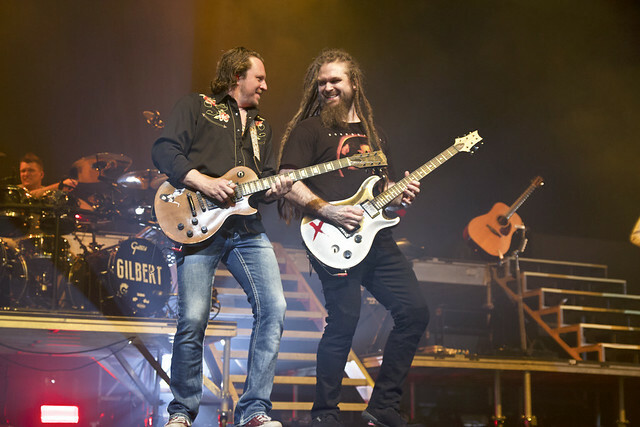 Gilbert teamed up with Colt Ford to write this country-rap and last night covered the entire song solo, raps and all! He even switched up the second verse with some faster rapping, very impressive! We slowed things down a bit next, as Gilbert sat down at a barstool with an acoustic guitar. He told us a story of his wife, as he dove into “Shes My Kinda Crazy.” Every female in the building was on her feet screaming it back. Next Gilbert took his hat off, which is unlike him and saluted all the veterans in the house. 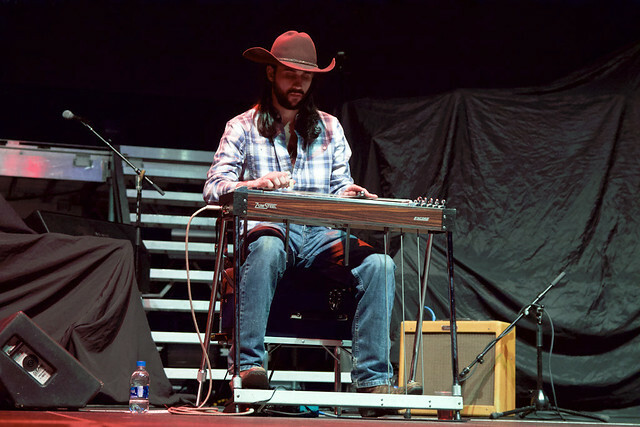 This next one goes out to you Veterans or anyone out there battling cancer as he dove into his massive hit, “One Hell Of An Amen.” Gilbert put his hat back on, and dove right in for the final track, “Small Town Throwdown” which features other country superstars such as Thomas Rhett and Justin Moore. 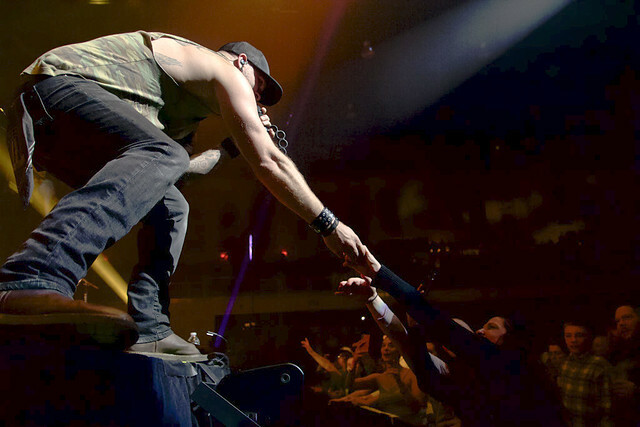 The energy was high and it was the end, but the crowd was not ready to say goodbye just yet. The bleachers started rumbling and fans were cheering, you would think we were at a football game! Gilbert came back out for one final encore song “Bottoms Up.” Very appropriate, because by this time fans were knee deep in the booze! I even ended up with one down my backside somehow. Safe to say, BG nation had a great time last night in Verona. Gilbert may have been done in Verona, but the night wasn’t over. 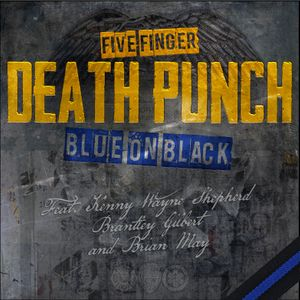 Hopping back into our cars headed home if you turned on Sirius XM Octane’s, Jose Mangin came on debuting another new track, this one by Five Finger Death Punch featuring Brian May, Brantley Gilbert, & Kenny Wayne Shepherd. The track was titled “Blue On Black.” It was the exact song we had heard earlier before Gilbert took the stage! 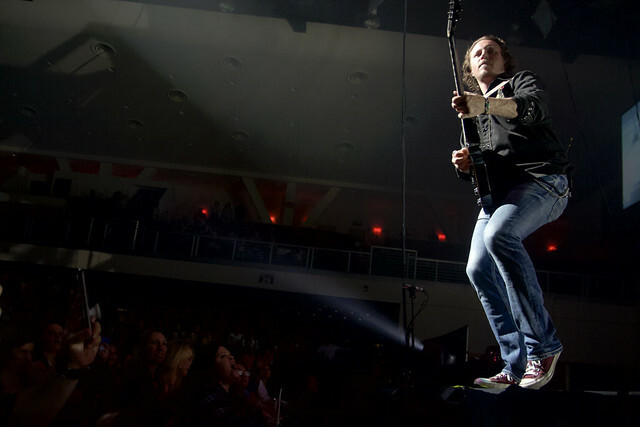 the artists came together to merge country and mainstream rock to re-create the classic song originally recorded and co-written by Shepherd. The best part about this new mix of the track is that proceeds from the new version go to the Gary Sinise Foundation benefitting first responders. Until next time- BG Nation. 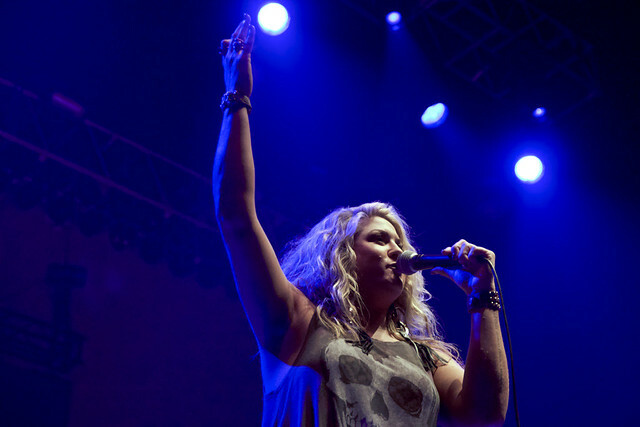 Ash was born and raised in a small town in Pennsylvania and started working with the music industry at a young age. At the age of 17 she became a DJ at the local radio station. Then she attended Valley Forge Christian College from 2008-2012 and attained a B.A. in Digital Media Communications. There she started her podcast, Pop Deflators, which has evolved into a full-fledged music site including Artist Interviews and Concert Photography, she also currently works for Rock Rage Radio as an online DJ and photojournalist.